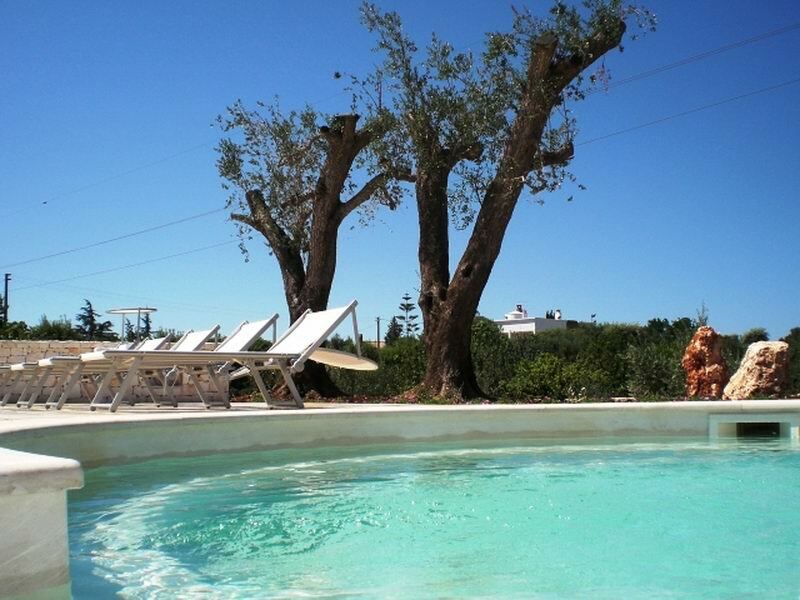 Inside the relaxing quietness of Apulian countryside, among between verdant-hills, centuries-old olive trees and a crystal clear sky, rises in all its white splendeur the 18th -century Masseria, an old forfieted farm and a very special place where you can spend your holday in Apulia. The meticulous renovation of the building made it possible to discover all of its original splendour, highlighted by the white lime and the stone inside, typical reculiarities of the masseria of Apulia. 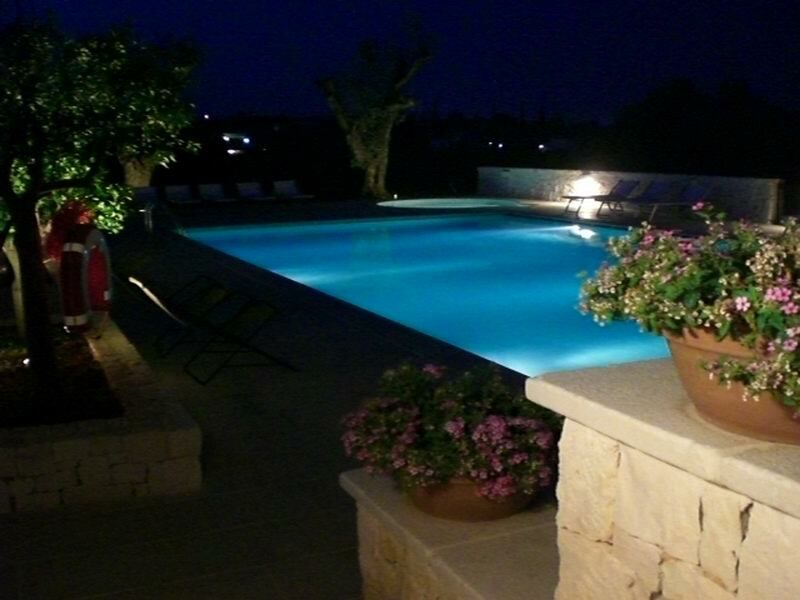 For your holiday in Apulia the farm provide its hospitality into rooms and apartments, equipped with all comforts and embellished with antique furniture in observance af the ancient traditions. 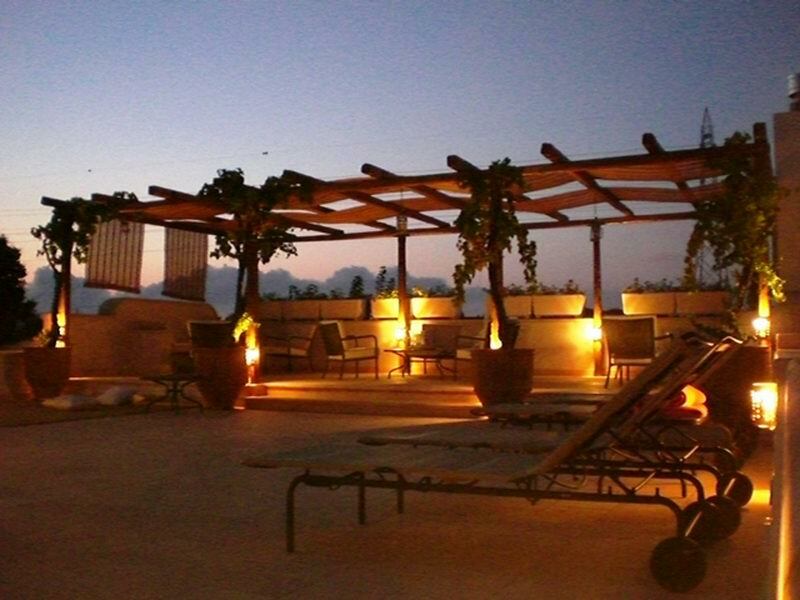 The farm wing that has been used to house rooms and apartments follows strict criteria which preserve its authenticity, typical of masseria accomodation in Salento, a sub-region of Ampulia. 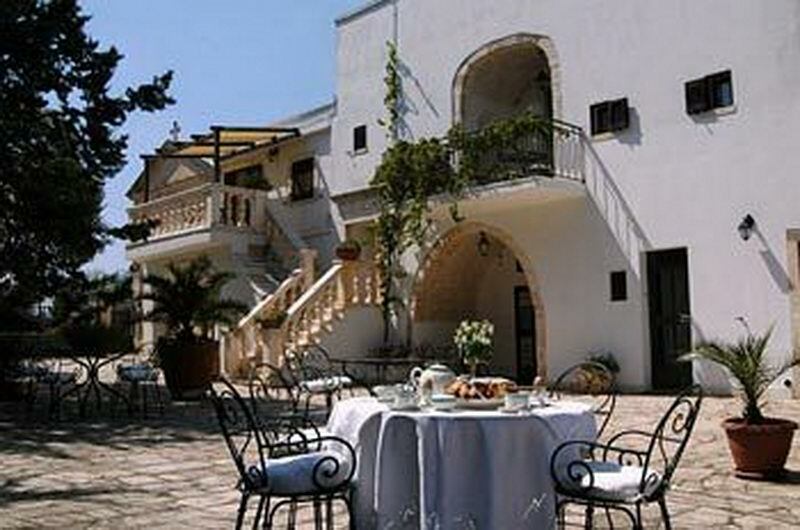 In ancient times, the central part used to be the landlord's home, as it the larger building, dominating the rest of the masseria. 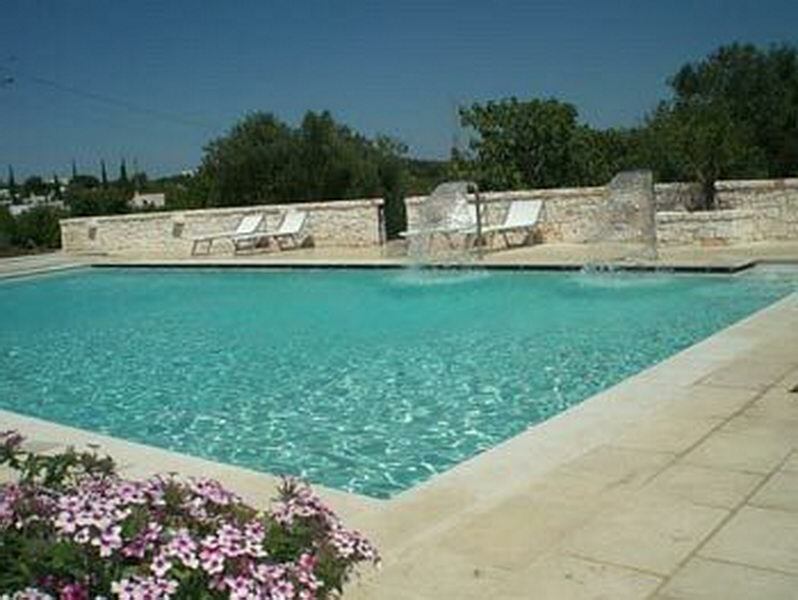 All around rose the working environment with the courtyard, the employees'habitations, the stables, the farm yard, the vegetable gardens and olive plantations. 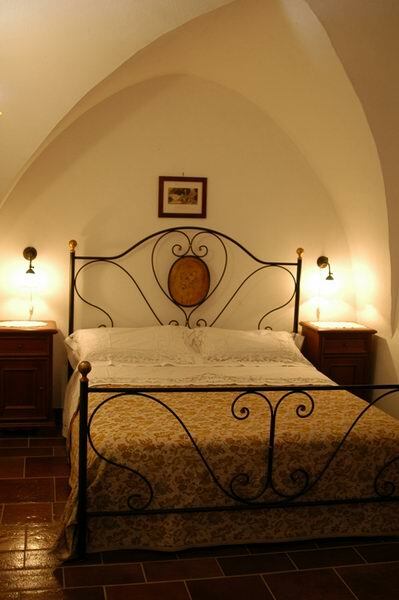 The farm offers hospitality in double bedrooms and standard apartments for 3/5 people, in 3 suites for 2 people , (Acquario, Vecchio Deposito, La Pergola), in 2 suitees for 2/3 people (Vecchio Deposito, La Pergola) and in 3 suites for 4 people (Aranceto, Sute della Chiesa, Suite Alcova). All types of accomodation are equipped with en-suite bathroom with shower, cooking corner (apartments only), fridge, satellite TV, internet connection, and some of the rooms with air conditioning. 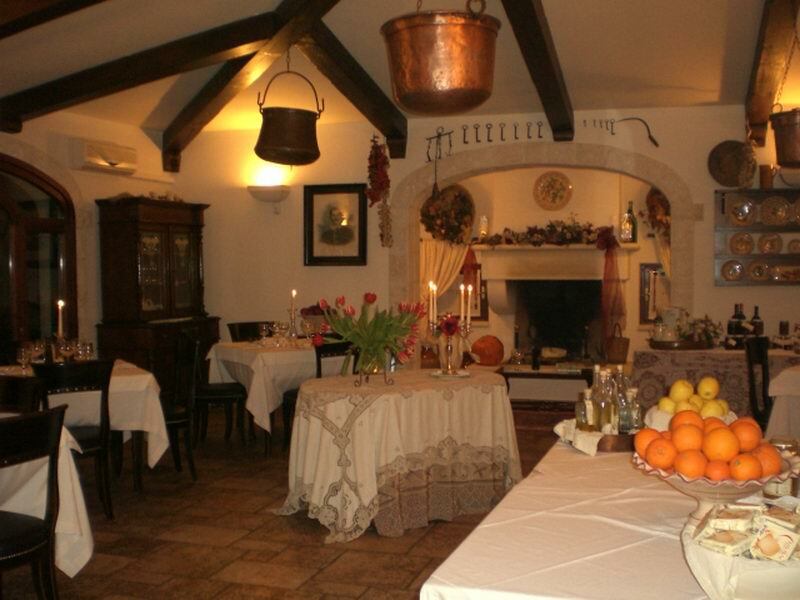 Praised by the most prestigious guides, the farm with internal restaurant presents dishes of the tradition of Apulia. The success derives from the extra virgin oil and the delicacies vegetables of the farm , and the warm, welcoming atmosphere of dining room.